Sometimes nothing beats that unbelievable feeling of witnessing a magic trick and not having the foggiest idea how they managed to do it. You run it over in your head, chat about it to other wedding guests and if it's impressed you enough, you might even look to book them for your own event. This is a power of a truly brilliant magician and why it's one of the best icebreakers you can invest in for your wedding day. Perfect for the time between dinner and speeches or at the champagne reception, it's such an ideal way to keep your guests entertained. 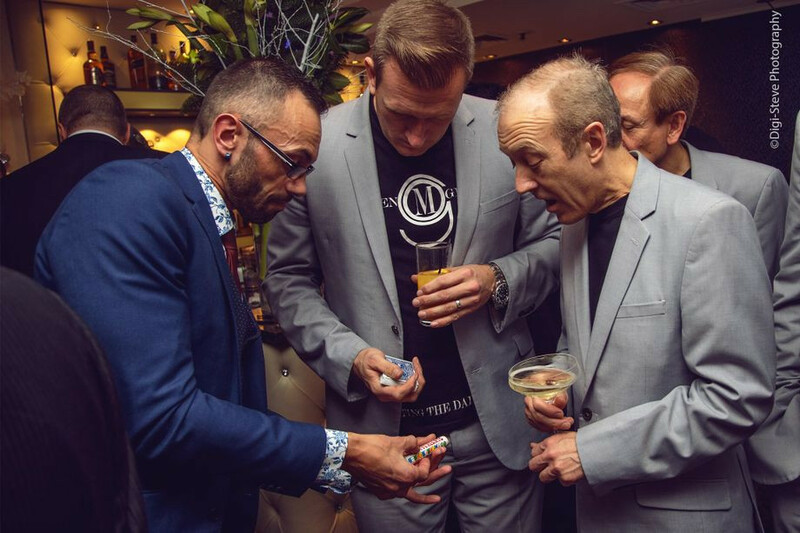 To get the full lowdown on why magicians work so wonderfully at weddings, we spoke to magician Carl Charlesworth to find out all the perks and what to look out for when booking your own. "Close-up magic is an amazing way to break the ice! There are family and friends of both the bride and groom. A lot of these guests have never met, which can sometimes be a little awkward for them. Cue the magician! The magician intervenes with some amazing magic, thus creating that valuable interaction. When the magician leaves them in awe, they are talking to each other about what they just saw. Trust me, this always happens. Ice.. Broken! Having a magician perform magic on your special day is a great way to add that extra magical touch. A close-up magician wandering around, entertaining your guests sets a lovely, relaxed atmosphere. It’s a great type of entertainment for all ages from children right up to grandparents. Magic is enjoyed by all. Magic is extremely engaging. Once witnessed, never forgotten. Couples are always looking for great ideas to make their wedding one to be remembered for themselves, but also for their guests. The right magician will perform outstanding magic with style and professionalism, therefore creating a lasting, enchanting memory of your special day. Close-up magic has become a very popular choice for wedding entertainment due to a few factors. One being the flexibility of a table / strolling magician. The magician can stop and start without it being an issue. This is very helpful when the guests are asked to stop and listen to speeches. The word 'Professional' can be mis-used. A professional magician is a full-time, experienced magician, who entertains as their sole job. Don't hold back, just ask. A professional relies on bookings to continue their career, therefore taking pride in entertaining to the highest standard every time. Make sure the magician you are booking has public liability insurance. If they are insured, they can provide you with a copy of their insurance certificate if requested. Website photos are a good source of proof and a great way to see audience reactions. A variety of performance photos are important, not just a few photos of some guy holding a wand with a cheesy grin! As with everything else in life, 'you get what you pay for'. If you have a very tight budget, hiring a magician may not be the option for you. Admittedly you can find cheap magicians. This preference comes down to the image you're looking for at your wedding. That said, in comparison to the cost of other things at a wedding, hiring a magician is one of the least expensive additions and well worth that little investment!